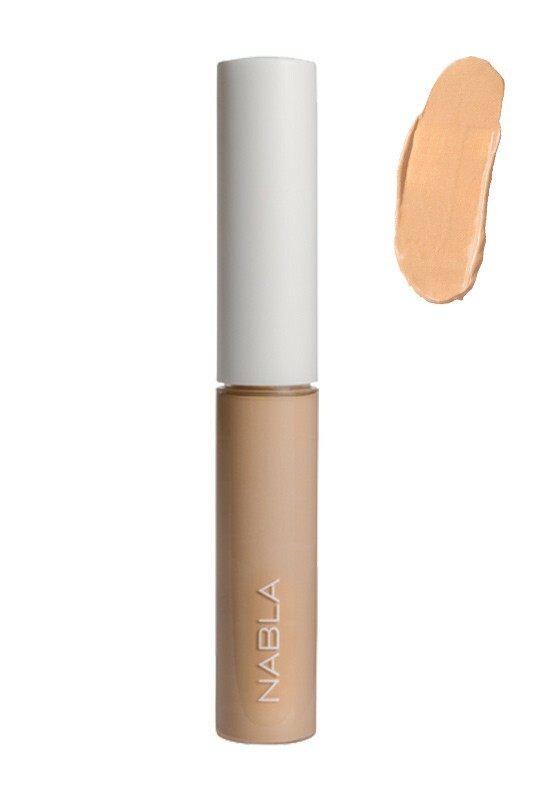 Creamy texture and long-lasting, Nabla Concealer blends easily into the skin providing an effective coverage of dark circles. Formulated considering the delicate area around the eyes in order to keep it weightless and constantly hydrated with a luminous, smooth, undetectable finish. The shade 1 : to very light skin tones. The shade 2 : light to medium skin tones. The shade 3 : to medium skin tones. Use a little product to neutralize dark circles, it gives an effective coverage. Buildable for high coverage. The Nabla Concealer is suitable both to be applied with a brush or to be dabbed gently with your fingers, the effect is extremely smooth. The shades of Nabla Vegan Under-Eye Concealer can also be mixed together. Clean composition formulated without: silicones, petroleum derivatives, parabens, pegs, phthalates, edta ! aqua, salvia sclarea flower/leaf/stem water*, propanediol, glyceryl oleate citrate, octyldodecyl stearoyl stearate, diisopropyl sebacate, cetearyl alcohol, glyceryl stearate, isopropyl myristate, isopropyl palmitate, potassium palmitoyl hydrolyzed wheat protein, caprylic/capric triglyceride, mica, prunus armeniaca kernel oil*, tocopherol, silica, helianthus annuus seed oil*, microcrystalline cellulose, cellulose gum, cellulose, chamomilla recutita flower extract*, parfum, benzyl alcohol, dehydroacetic acid. [+/- ci 77891, ci 77491, ci 77492, ci 77499].